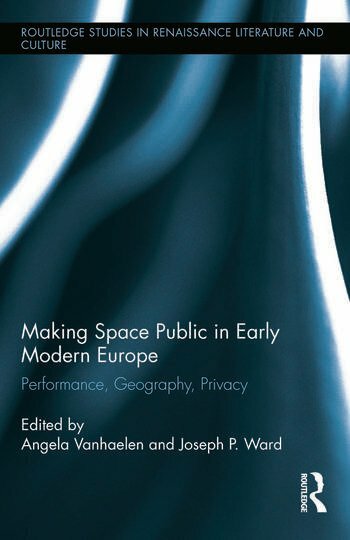 Broadening the conversation begun in Making Publics in Early Modern Europe (2009), this book examines how the spatial dynamics of public making changed the shape of early modern society. The publics visited in this volume are voluntary groupings of diverse individuals that could coalesce through the performative uptake of shared cultural forms and practices. The contributors argue that such forms of association were social productions of space as well as collective identities. Chapters explore a range of cultural activities such as theatre performances; travel and migration; practices of persuasion; the embodied experiences of lived space; and the central importance of media and material things in the creation of publics and the production of spaces. They assess a multiplicity of publics that produced and occupied a multiplicity of social spaces where collective identity and voice could be created, discovered, asserted, and exercised. Cultural producers and consumers thus challenged dominant ideas about just who could enter the public arena, greatly expanding both the real and imaginary spaces of public life to include hitherto excluded groups of private people. The consequences of this historical reconfiguration of public space remain relevant, especially for contemporary efforts to meaningfully include the views of ordinary people in public life. Angela Vanhaelen is Associate Professor and Chair of the Department of Art History and Communicataion Studies at McGill University, Canada. Joseph Ward is Associate Professor and Chair of the Department of History at the University of Mississippi, US.